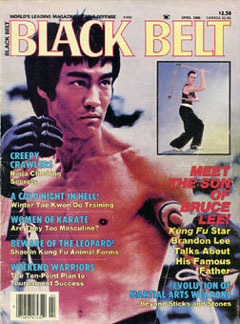 Black Belt, April 1986. "Meet The Son of Bruce Lee! Kung Fu Star Talks About His Famous Father". Brandon's first published interview, 6 pages.